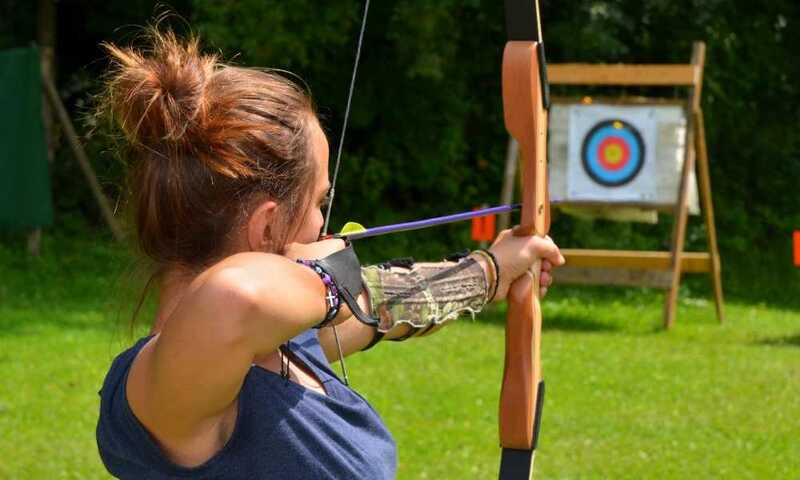 Bow hunters and target shooters alike need good targets to build skill and accuracy. 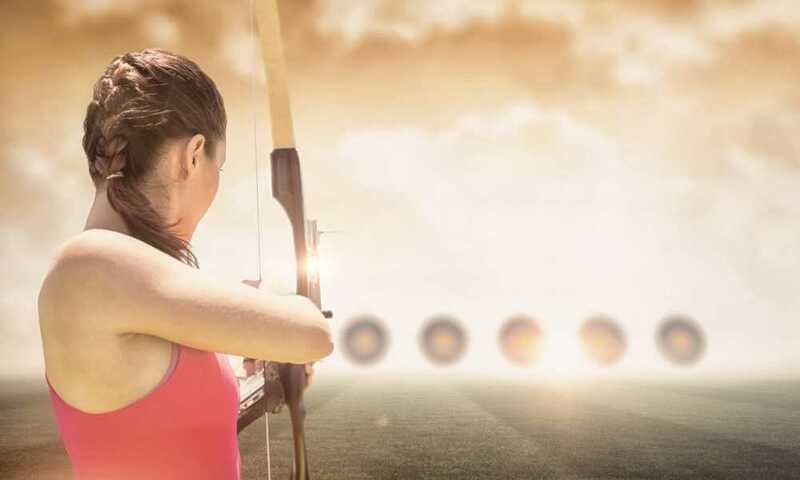 With all the different bows, arrows and tips, it can be almost impossible to know which target will give you what you need at a good price. It is important to match the type of target with the type of shooting you are doing. In this article, we are going to focus on one of the best-known makers of archery targets, Rinehart targets. From their patented self-healing foam to locking inserts and heavy duty construction. 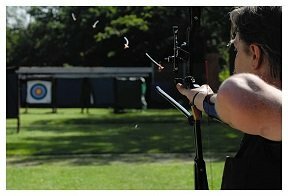 Rinehart is a leader in the archery industry, both for individual shooters and club competition. The company has only been around since 1999, the innovative design and durable construction have made Rinehart targets a stand out in the field. Let’s look at what could be the top three Rinehart targets based on user reviews. The RhinoBlock Rinehart Archery Target is designed to help improve your accuracy. Made from Rinehart’s self-healing foam, the 6 sides of this target will not damage even broadhead arrows or your practice arrows. Easily viewable from a distance, this target even comes with 3D images to help improve accuracy. At only 19lbs., the target is easy to hang just about anywhere so you can start practicing immediately. Although many of the target inserts are replaceable, you should be aware that the self-healing foam ones are not. This may be considered a disadvantage by some as even the best material will break down over time. This block target from Rinehart can be used all types of arrows including broadheads, field points and even expandable tips without losing any of its integrity. The cube target will maintain its shape integrity through multiple uses and hours of target practice. The patented Rinehart self-healing foam inserts will maintain their shape through dozens of strikes and removing your arrows from the target will not result in ripped foam or tearing bits of the insert off. The 6 sided RhinoBlock cube comes with both large and small targets. The large targets are designed to improve aim and the small targets will help improve arrow placement on the target. This will result in higher scores at tournaments and more hits when hunting. The 3D images help to improve arrow placement so hunters can increase the chance of making a humane kill shot the first time. The RhinoBlock comes with 40 targets of various sizes. The RhinoBlock comes fully assembled and needs no complicated instruction for its use. With a durable rope handle and multiple mounting holes around the cube, the RhinoBlock is easy to carry from one place to another and hang at just about any height or angle. The clearly visible targets are easy to see from a distance and allow you to work on accuracy from your desired distance. While the insert for the large and small targets is removable, the 3D graphics target is not replaceable. Like the name suggests, this target has 18 high visibility targets of varying sizes which are all marked in a bright color for easy viewing at distance. The patented self-healing foam will stand up to prolonged usage but may chip over time. The 18-1 Broadhead Rinehart Archery Target is especially good for broadhead arrow practice and you can remove the arrows easily without damaging the targets. 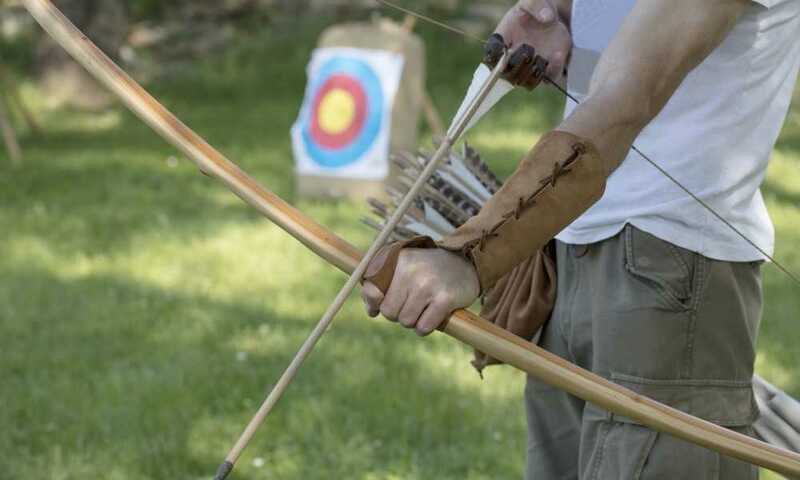 Using a field point arrow with this target will result in more difficulty removing the arrow and may end up damaging the target. The target can be set on any of its sides for ground-level shooting. It also comes with a rope handle for carrying and for hanging the target for above ground practice. Includes 18 various sides for multiple targets. A luminous target surface against a black background for high visibility at long distances. Very well suited for broadhead and high-speed crossbow target practice. However, the Rinehart 18-1 is also somewhat expensive compared to other targets out there. It’s smaller than other targets at a similar price and not suited at all for field point arrows. The Woodland Buck Rinehart Archery Target gives bow hunters a lifelike target to practice their accuracy. This target is very easy to set up and comes with everything needed to get practicing quickly. The body, head, and antlers attach easily and the patented self-healing foam vitals insert will last through hours of practice. Even carbon arrows will be stopped by this insert and the holes will close up within a few seconds. 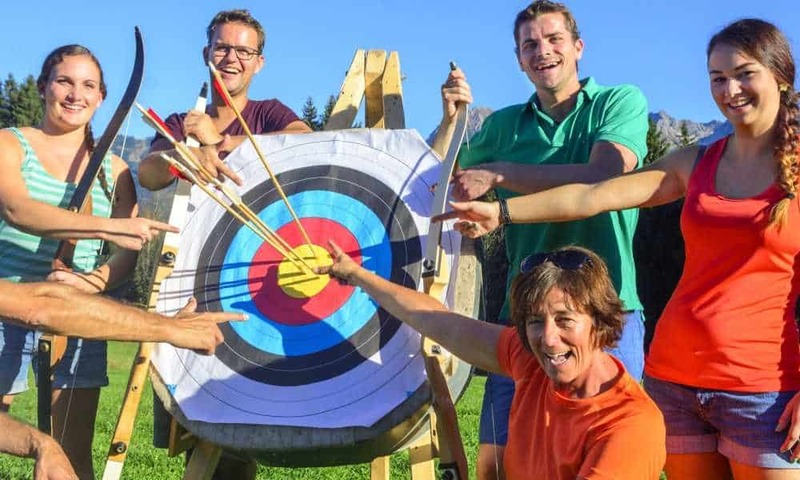 This very life-like model will make your archery practice a lot of fun. The vitals insert can be replaced should it ever wear out. Many users have found that even after hundreds of hits, the insert is still in great shape and does not need replacement. 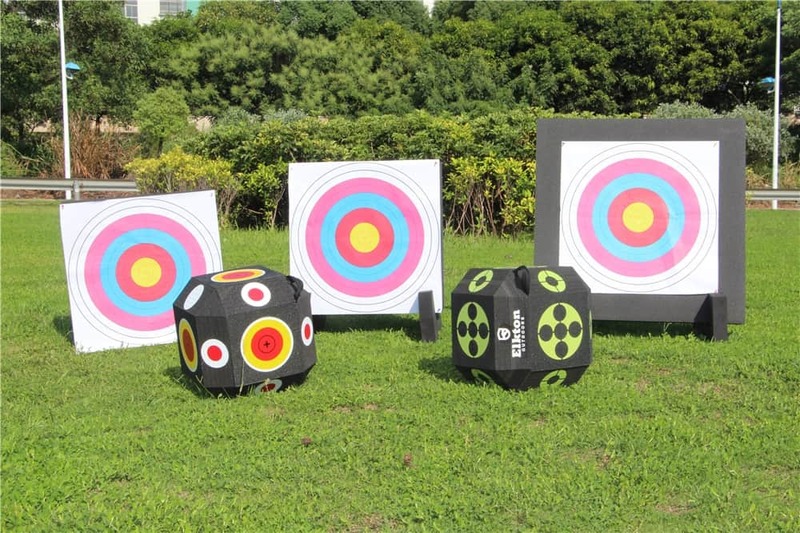 Unlike many large 3D targets out there, the body of the target is not made of cheap plastic but uses Rinehart’s FX Solid Foam construction that has no fillers. The 3D target allows for both 45 degrees, and broadside shooting angles and is meant to simulated the dimensions of approximately 120lb. deer. As the only life-like target in this roundup, it is also the largest with dimensions of 33 x 31 x 9 inches and weighing in at 22lbs. The target comes with very sturdy stakes to set the target solidly into the ground and can withstand the strike, or even a high-speed carbon arrow traveling at 350FPS or less. Clearly, Rinehart’s reputation as a leader in archery targets is well-deserved. You will be happy with any of the targets you get from them. 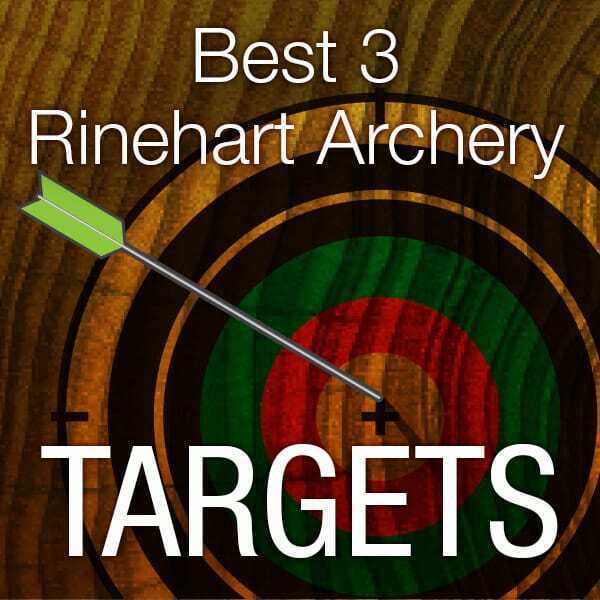 But, through user reviews, these three targets have risen to the top of the list from the Rinehart lineup. 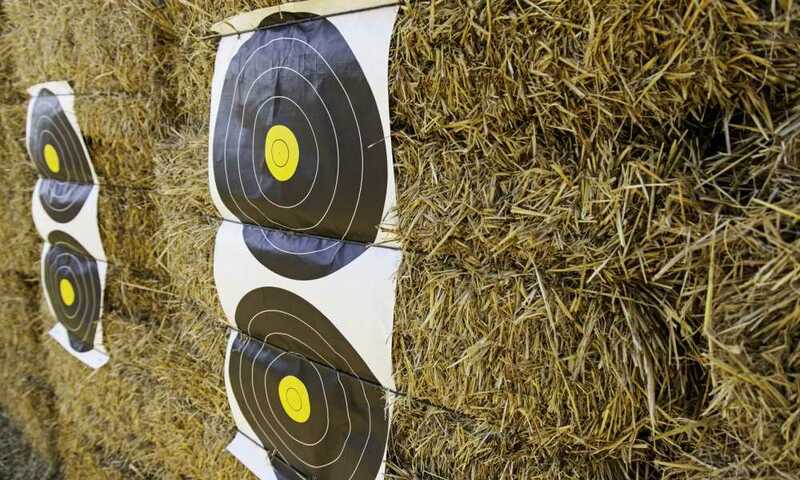 What are your favorite targets for archery practice? You want to make sure you have arrows to shoot, we have an infographic on what to look for when you buy arrows. I have Rinehart Rhinoblock Target. After shooting over 200 arrows in this target I can say that this target holds up! You can’t even really tell that I have shot that many arrows into it. Only concern is when it gets cold it is impossible to pull the arrows out. I literally was standing on the target and pulling to get the arrows out. I brought Rinehart Woodland Buck Target. It was very sturdy and well-made. I have always heard good things about Rinehart targets and I am pleased with this one. I would say that the vitals area seems pretty durable. It was a little bit difficult to remove the arrows, but it’s easier when you wiggle the arrow around in a circle first and then pull them out. I would recommend this target.